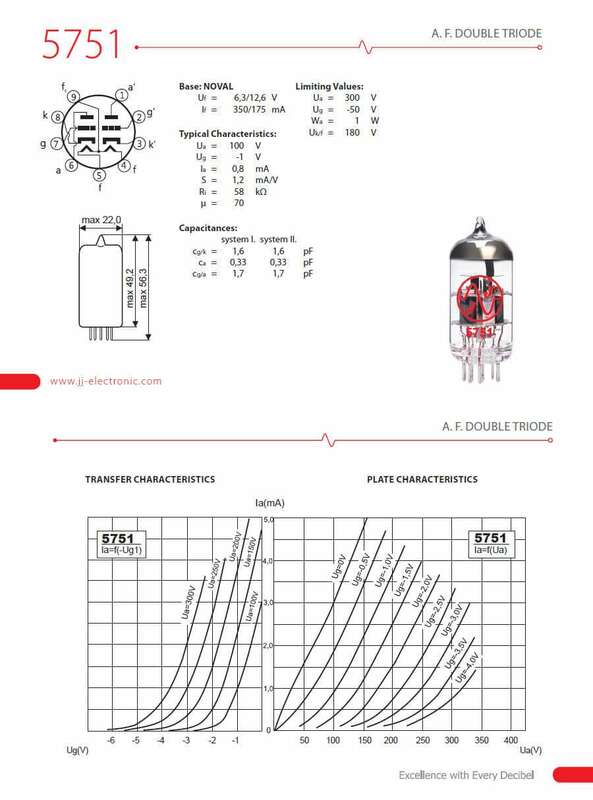 The JJ Electronic 5751 is a dual triode that can be used in place of most 12AX7 circuits. The rugged build of this tube and reduced gain (30% less than a 12AX7) can improve headroom and give better control in high gain stages allowing users to more easily dial in sweet spots. The JJ 5751 features a smooth and balanced tone and a detailed response with low noise and low microphonics. Packaging Dimensions 0.9 in. x 0.9 in. x 2.3 in. 1 answers Is the P-ST9-600 9-pin mini socket the correct socket for a 5751 JJ preamp tube? Yes, the P-ST9-600 socket is compatible. Depending on your needs and specifications most 9-pin miniature sockets will work. 1 answers What is the correct socket for the 5751 JJ preamp tube? Depending on your needs and specifications most 9-pin miniature sockets will work. 1 answers Will these work with the budgie tube phono preamp? If your amp calls for a 12AX7 the 5751 should work as it is a compatible tube. I'm currently using one of these as V1 in a Peavey Classic 50 and it REALLY nails the Fender cleans and twang and quack, all while working well with my NOS 12AD7 in V2 for lead distortion.